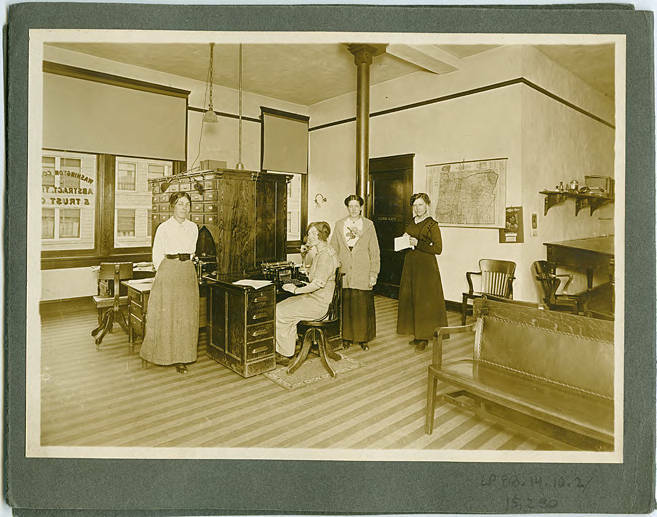 Black and white image of four women in a title office. One woman wears a thick sweater and has two roses attached to her chest. Two others wear stylish, ankle-length dresses, and another has a white shirtwaist. The fourth woman sits before an old typewriter. They appear to be in a second story office, and the legend 'Washington Cou[nty] Abstract. Ti[tle] & Trust C[o.] can be made out in reverse on the window. This image is part of a group contained in a tri-fold folder; see WCMpic_015280 and WCMpic_015279 for the other two images from that folder, and WCMpic_15282 for another image of the Bagley and Hare law office library. [back] [pen] 1 - Bill Hare ? 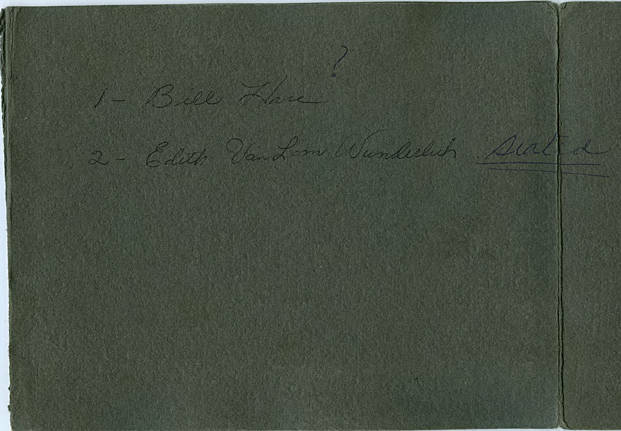 s - Edith Van Lom Wunderlich - seated.